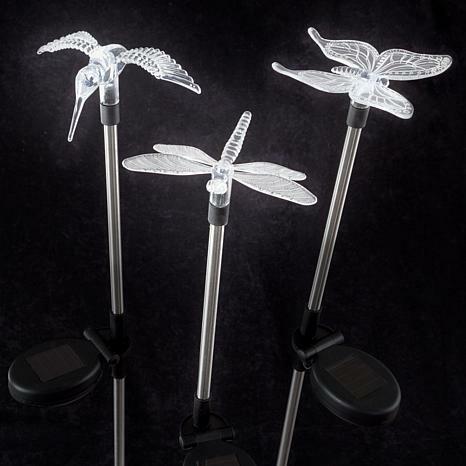 The Solar Outdoor LED Light and Battery Operated Butterfly, Hummingbird and Dragonfly Yard Stake by Pure Garden gives off a soft solar light while providing delightful accent lighting making it a wonderful addition to any yard. The solar light soaks up the sun's energy during the day and turns on at dusk. The whimsical yard stakes are made from durable stainless Steel, long-lasting and weather resistant that will be adored for years to come! BRING LIFE TO YOUR LAWN - The Solar Outdoor LED Stake Light gives off a soft solar light while providing accent lighting in your garden landscaping and flower beds making it a wonderful addition to any home or yard. Garden stakes by Pure Garden are crafted from stainless steel poles and clear plastic toppers to ensure a long-lasting, durable and protected outdoor decorr that will enjoyed for years to come! LIGHTS UP ALL NIGHT - Charges by daylight and comes with 1PC rechargeable AAA Ni-Cd 600mAh battery. The solar panel should receive a minimum of 8 hours of sunlight per day for optimal performance at night. Includes On/off Switch. 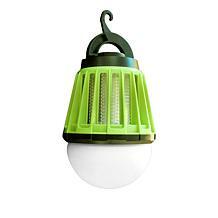 Light lasts up to 6 hours on a full charge and turns on automatically at dusk. EASY TO INSTALL - Designed for outdoor use in all climates. No wiring or external electricity required for use. 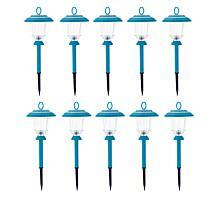 Simply place the Stake Light in your chosen location. 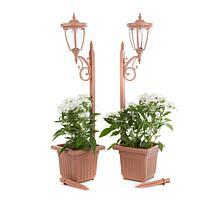 Within minutes you can add beauty to any area of your outside space. 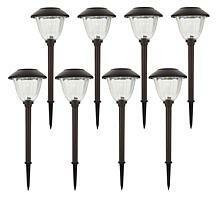 These are brite and stands out at night. Bright and work perfect ! Wanted multi color as I have one that is 3 years old still working ,but clear is o k as well ! Look cute in my garden. These are something you can get at discount stores everywhere. I thought they would be different. they are quite small. they still look pretty. but you can get them at a better price locally and not pay shipping.